Trudell Bostick, lovingly known as Trudy of Boston went to be with the lord on Wednesday August 01, 2018. Trudell Bostick, the youngest child of four was born November 07, 1952 to Johnsie and John (Cease) Bostick of Ellerbe, North Carolina. Trudy was raised in Boston, Massachusetts by her sister Mamie Ruth & her brother in law Julian (Red) as their own alongside their own children: her niece Yvonne, and her three nephews Julian Jr. (Binkey), Wayne, Richard and sister Doris after losing both her parents by 1954. After attending Dorchester High School. Trudy worked with children before becoming a mental health worker for the State while attending Roxbury Community College. Trudy was a good mother who not only raised her own two children Jodi and Larry but helped raise Tiffany as her own and loved dearly with the help of her departed common law husband John James “JJ”. Trudy was a strong & selfless woman who knew what she wanted. Trudy was the kind of woman that if you were hungry she would feed you a hot meal. If you were homeless, she provided you shelter. If you needed a friend to throw down, Trudy had your back. If you just simply needed someone to talk to she gave you an attentive ear. She didn’t pass judgement, she took all your most intimate secrets with her without her ever repeating them. She will be greatly missed. Today, August 13, 2018 we celebrate Trudy’s going home to be with the lord. Let us rejoice together in remembering how Trudy possessed a contagious laugh with entertaining humor. She always looked forward to having a good time with family and friends. 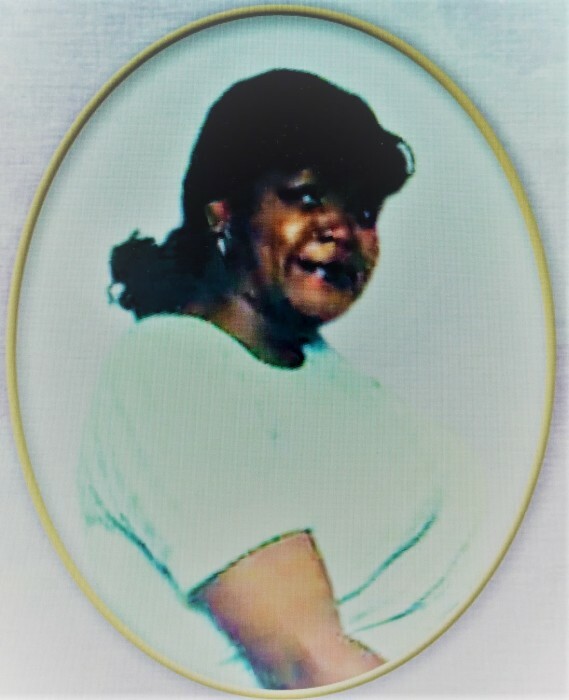 Trudy was preceded in death by her mother Johnsie Bostick, father John Bostick, brother Levester Crump, sister Mamie Ruth Daniels, brother in law Julian Daniels, niece Yvonne, nephew Wayne & her common law husband JJ. Trudy is survived by her sister Doris, son Larry, daughter-in-law Miriam, daughter Jequeta (Jodi), son-in-law Gabriel, three grandchildren Jordan, Jaahkye, Joseph (JJ), two nephews Richard and Binkey, her two girls Doris W. and Millie E. along with a host of loving cousins, extended family and close friends to cherish her memories.